This is a paper prototype created by a QØ team to test out the desirability of their app, Campus Collage which was used for prospective high school students to get a better version of what college would be like. In the earliest stages of your startup, you are trying to achieve something called product market fit, which means, in simple speak, “am I generally building the right thing for the customer I’m trying to sell to?”. Hearing what customers hate about your product is equally as valuable as hearing what they like. Building a MVP is important because it gets the idea out of you and your teammates heads, and turns it into something concrete and real, that your target customer can respond to. To answer the question “am I generally building the right thing for the customer I’m trying to sell to?”, you have to actually build something and put it in front of your target customer and see what they do. As we said above, it’s not the final, polished version, but the simplest first version that serves to ‘get the idea across’. Another way to think of your MVP is as the essential tool you need in order to run experiments on your startup idea. The best experiments to run early on should test out a major assumption about your startup idea that is critical to its success. At Catapult, we use MVPs to perform real experiments with real customers. Therefore, you should build an MVP that can directly help you test one of your major assumptions along the 3 categories above. It’s usually best to start with desirability. Joyce Hseih is the Founder and CEO of Wilddaisy, a very successful e-commerce site targeting young women with a California lifestyle brand. Read Joyce’s whole story here about how to start a business in high school. In the very beginning, Joyce made custom, bedazzled, iPhone cases and tried to sell them to girls her own age. Even though she was starting a much bigger company that would sell all sorts of things, she started small with a MVP of a custom phone case. If you can sell a custom phone case, that customer might buy other things too she thought. To experiment, Joyce used the cases herself and kept track of how many people noticed/commented on her cases. in little time, friends started asking her to make cases for them. She was able to confirm that girls her age were willing to buy custom iPhone cases that looked like what she had already created. Joyce didn’t build a huge, expensive website, buy a bunch of inventory, and wait. She did the opposite, she started with a simple MVP to prove that people would buy her product. Zip Car, Will people Share Cars? Zip Car, a company that allows you to use cars for a few hours at a time to run an errand or move something large, started off with an old VW van. Their major assumption was around desirability, are people willing to share a car, a novel idea when they started out almost 20 years ago. They put a notebook in the glove compartment and asked people to record mileage before and after use. They told some folks in the the neighborhood, left the keys in the van, and waited for a month. Outcome. Having a large vehicle handy for trips where folks needed more space was a huge help as shown by the many repeat uses by neighbors. 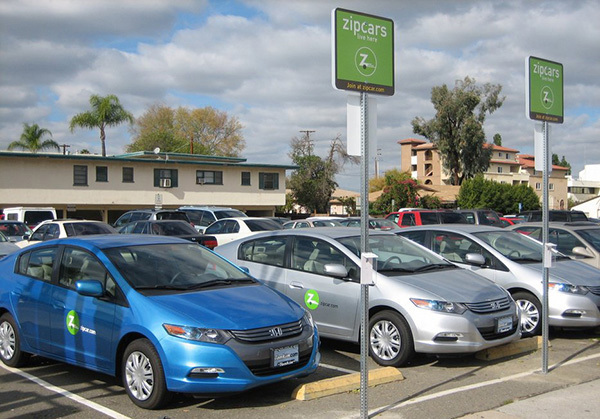 Zipcar had to test out the desirability of their product. Would people actually be willing to share cars? Zappos – Will people buy shoes online? Zappos wanted to test wether people will buy shoes online, which at the time was revolutionary. 95% of all shoes were bought in a store. What did the founder do? He went over to Nordstroms and took pictures of 20 pairs of shoes. He built a simple website listing those for sale. People bought them, he went back over to Nordstroms, bought the shoes, then shipped them out. He proved his assumption true that people would buy shoes online! Here’s a list of 10 famous companies and how they got started with MVPs in the very beginning. Let’s say you wanted to start a company that reduced food waste. How the heck would you create an MVP to test this out? I present you TEO Foods. The team first tested Desirability. They knew that folks would purchase boxes of food and snacks through the internet, other companies had already proved that. But Teo was trying to see if people who cared about food waste would purchase food made from reclaimed food – that was their major assumption. Their first MVP was a single paragraph describing the problem of food waste. The team emailed everyone they knew, they created a Facebook page, they tweeted on their personal accounts, they put it out into the far reaches of the internet. At the end of that paragraph was a simple call to action, link that said ‘learn more about food waste’ that pointed to a single landing page website. The team kept track of the total number of people they invited/emailed and guesstimated how many folks would see it from Twitter, etc. Then, using analytics over the next 48 hours, they kept track of how many visitors showed up at their landing page. They decided that if 25% of people who saw the message went to the website, that was a positive enough sign. They took it a step further, and on the single landing page, below another short paragraph of text about food waste, was a field to put enter your email if you were interested in a undisclosed product that Teo was going to sell to fight food waste. Now that they had a whole list of people who signaled interest by entering their email, it was time to see what/if those people would be willing to pay. the team created a simple ‘early order page’ with only one product for sale, a box containing snacks all made from reclaimed food. They put together a short message saying they would deliver the product if there was enough interest, they included the link to the early order page and sent it out to everyone who had signed up. Again the team measured the percentage of people who came to the website from that message, and they decided that if 10% of people who visited the early order page on the site decided to buy, that would be a sign of success. (Most commerce sites have a conversion rate closer to 3%-6%). They had enough orders to give it a shot. The final major assumption to test was Feasibility – could they actually build the boxes at the cost they were selling them for, with labor, shipping, to figure out if this is doable in the long run. With a team of 8, they were able to handle the orders, though they did end up losing money on each box when they factored in all the costs. Only a minor hurdle this early on. Lastly, as a way to be certain this wasn’t a one time thing, the team decided to take their assumptions around desirability a step further. Now that they had a group of 1-time customers, it was time to see how many would be repeat customers. The team adjusted the contents of the box somewhat, and sent another email out to their customers saying they had a new box for sale, this time, it was on a subscription basis, they would send 1 box a month for 3 or 6 months. They wanted to see how many committed customers they had beyond the initial sale. The team continues on today running tests and building the business. You’ve probably heard the term ‘fail fast’ – at Catapult we embrace failure, because it’s only through quickly figuring out what isn’t working, that you can build what is working, and beat out all your competition. Your MVP experiment will most likely result in a ‘failure’ but if you carefully and throughly talk through your findings with your team, you will start to find the small successes that you can build on. Prototypes and MVPs are about getting your idea into the world. Don't worry about being perfect, just get it done! The hardest thing for most young entrepreneurs is to get candid customer feedback, and then take that feedback and use it to make their product better. A MVP is the quickest way to put your idea in front of customers and get their feedback. Usually they will say things like ‘I love it’ or ‘oh cool, my friend would buy that’, unfortunately those answers aren’t always helpful, so make sure you have a quantitative way to measure success. A good MVP tests major critical assumptions like Desirability, Viability, and Feasibility. Now that you have a MVP, and are ready to begin iterating on your idea, it’s probably time to start asking the The one question that predicts the success of your startup over all others is ‘Will you pay for this?’ And if so ‘how much?’. Step 3 is all about getting your first paying customer. Some of the best digital tools, we like digital because it is quick, and you can push it out to a lot of people. So even if you are building something huge, like a heavy lifting drone, it is still a good idea to make a website/fb page/anything that can be shared on the internet, to get more data points for your testing. GrowthHackers extensive stories of really successful companies (airBNB, Tindr, What’s App, Snapchat, etc) and what their MVPs were and how they experimented over time. Squarespace for easily making a landing page site, and selling a few products. Google Forms an easy way to attach a short poll to an email, webpage, or Facebook page. Google Keywords really simple way to see what terms people are searching for and in what volumes. Facebook Ads, requires linking your FB account but worth it, you can set the demographics of your target customer (female, age 18-25, likes snowboarding, e.g.) and see what the size of that group. Helpful for gauging how big your target market is.